I hope your weekend is off to a great start. Mine is. I have been eying it for weeks at the grocery store but purposely did not buy it because it sounded like something I would really like. A little too much. As suspected, I like it. No wait, I love it. 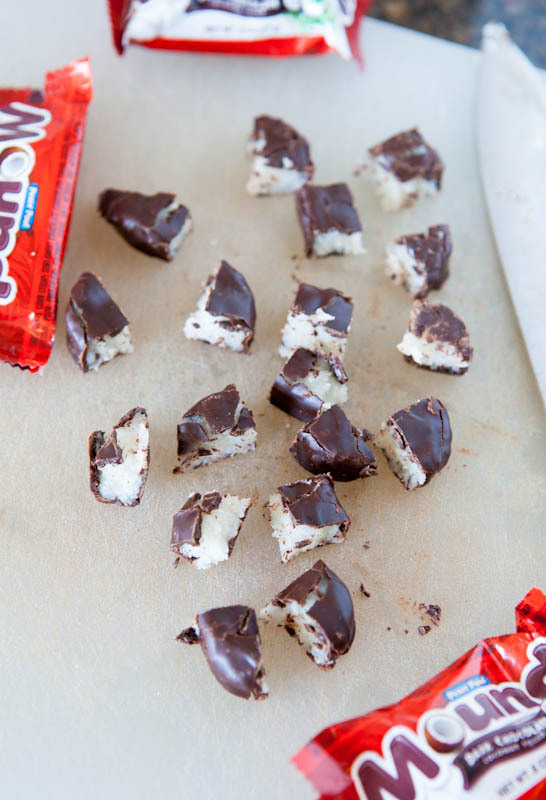 It tastes just like the filling of an Almond Joy candy bar. 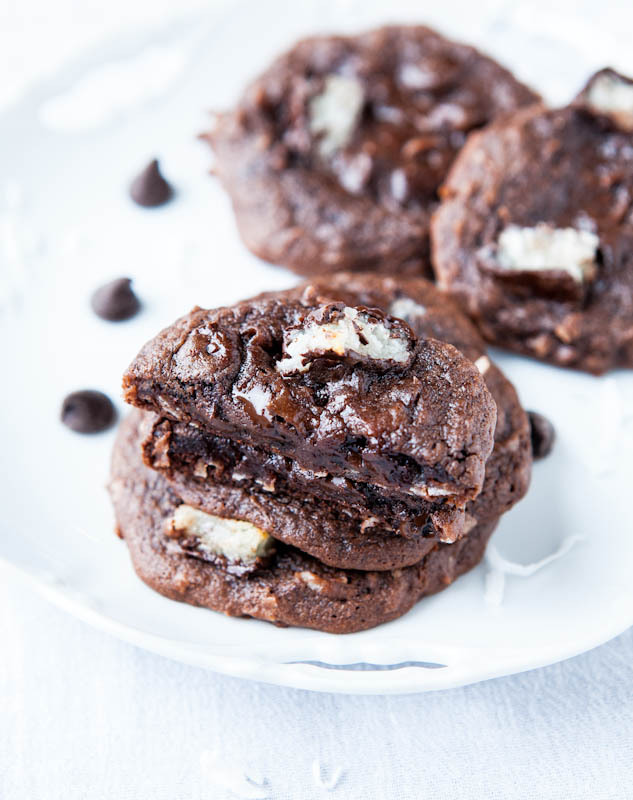 There’s no chocolate added and it’s heavily coconut-infused, with a hint of toasted almond flavor, and it’s sweet. 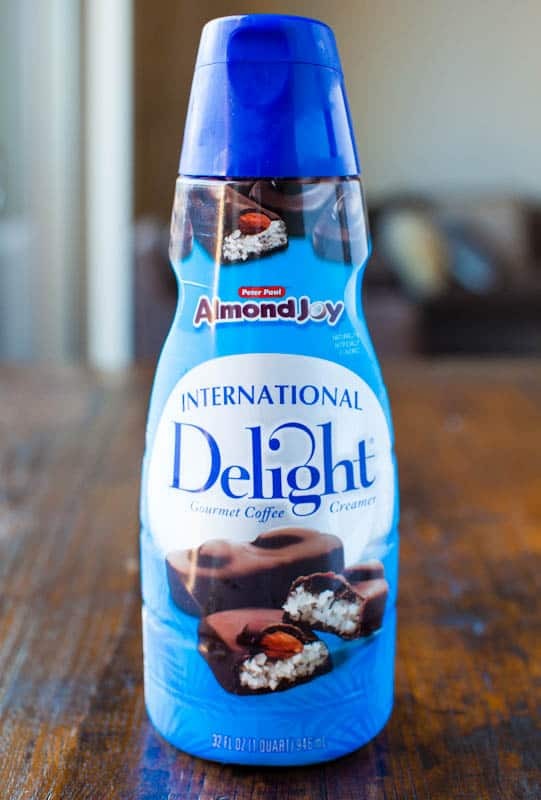 It’s like pouring a chocolate-less Almond Joy candy bar into your coffee and it’s for the serious coconut lover. I need to wash my coffee down with a Mounds Bar Chocolate Coconut Cake Mix Cookie and I’ll be all set. I prefer Mounds bars for eating, but for drinking, I’ll happily drank some Almond Joy. 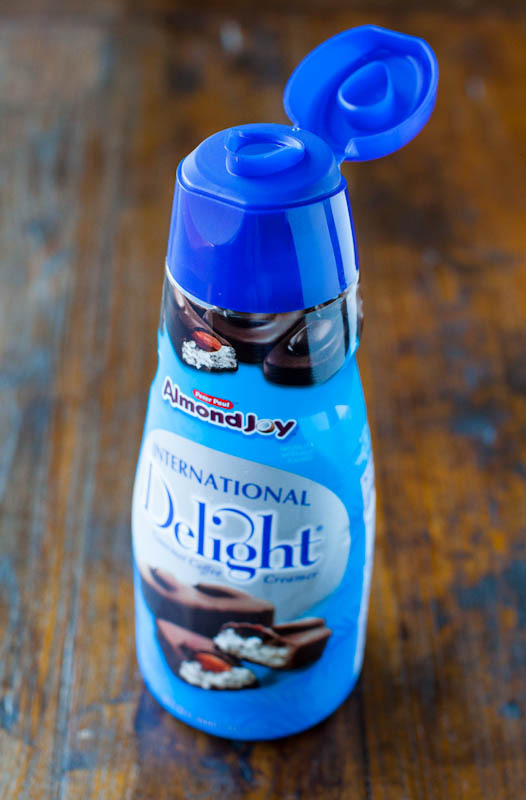 Do you have any favorite flavored coffee creamers? I know they’re not for everyone. That’s okay; more for me. 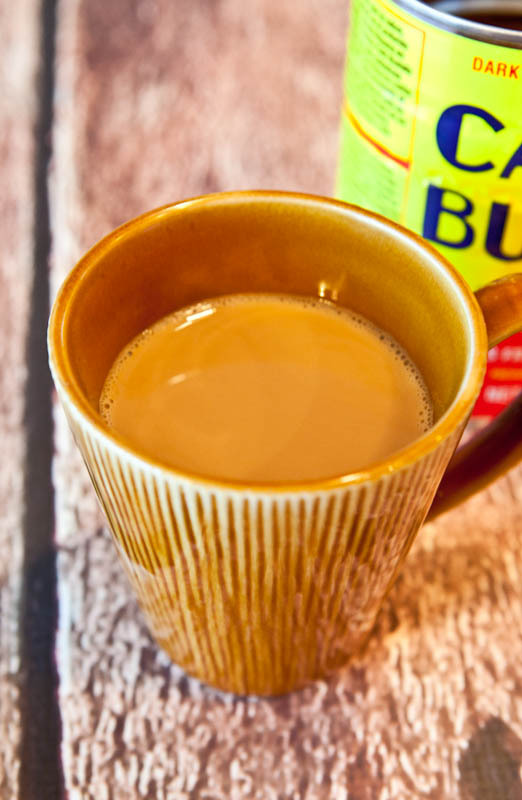 My never-get-tired-of-it and always have at least 2 jugs on hand is Coffee-Mate French Vanilla. For vanilla, I strongly prefer Coffee-Mate to International Delights. Ironically, I love flavored creamers but I don’t like flavored coffee. I like to be able to doctor up plain coffee with creamers, while leaving the coffee itself unflavored. Plus, running flavored beans through my pot makes the next few pots taste like whatever flavor was brewed. Enjoy your weekend – with an extra cup of coffee and hopefully some gorgeous weather. It’s a perfect San Diego day. There is no one, some one cannot possibly love it!